What is Cherry Creek in Denver? You’d think, that should be easy to answer. It’s not an easy question because Cherry Creek is several different things in Denver. Most people think of it as the Cherry Creek Shopping Center. That’s the very upscale shopping mall located near the Denver Country Club in downtown Denver. In addition to the chic shops in the mall itself, the surrounding area is a virtual boutique unto itself. Restaurants, art galleries and specialty stores abound there. It’s a pedestrian paradise with plenty to see and do. Cherry Creek real estate also has a variety of lofts and condos, townhomes and single-family homes. Several lovely, upscale residential areas surround the Cherry Creek shopping Center as well. The Denver Country Club has tree-lined parkway is with stately mansions from an era gone by. 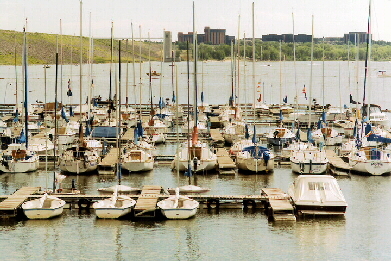 Washington Park is full of younger professionals, burgeoning families and retired Empty-nesters Washington Park itself has two lakes and is the focus of activities most of the year. To the east of Cherry Creek lie the upscale residential neighborhoods of Hilltop and Crestmoor. The single-family homes their range from modest 1100 ft.² ranch homes to huge, new McMansions with price tags reaching higher than Carmello Anthony at a Nuggets basketball game. 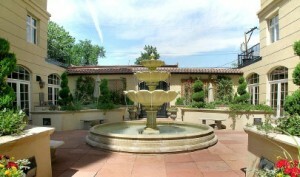 Bonnie Brae, Belcaro and Polo Club are just south of the Cherry Creek Shopping area. Congress Park and Cheesman Park are located just to the north. So, Cherry Creek becomes a magnet not only for the residents who live there but for those in neighboring communities too. The concept of Cherry Creek didn’t start out as a shopping center. It was a meandering stream flowing from Southeast Denver to its confluence with the North Platte River in downtown Denver. That, in fact, was the location for the original Denver settlement where gold was first discovered in 1858. There was only one problem with Cherry Creek, the stream. There were times when the stream would flood. So, in 1950 the Army Corps of Engineers erected the Cherry Creek dam southeast of the city. The damn did its job. It alleviated the flooding and it also provided a water source for Denver. One unintended consequence was that it became a recreation center complete with a beach and nonmotorized boating. But here’s where the confusion begins. The Cherry Creek dam is now it’s own area. Housing subdivisions there have Cherry Creek in their names. The suburban school district there Calls Itself the Cherry Creek School District. 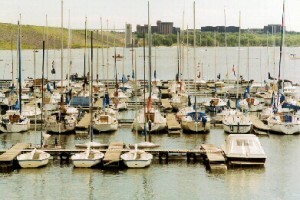 And, a state park is created there called the Cherry Creek State Park. Now, when people move to Denver from out of town and hear the term Cherry Creek, they don’t know what to think. “Do I want to live around the Cherry Creek shopping Center so I can send my kids to the top rated Cherry Creek schools?”. Of course, the answer is no because children living near the Cherry Creek shopping Center attend the Denver school district schools.